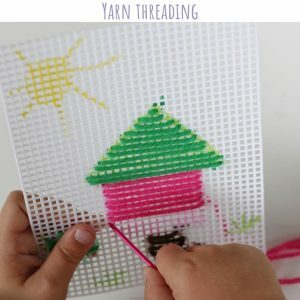 This Easter Egg Yarn Threading activity is super quick to prep and totally inexpensive, anyone can do this! I bought these chimpboard eggs to use up a giftcard and then had no idea what to use them for! I’m sure they’re great for many things (of which I just couldn’t think of), but since they’re eggs and Easter is right around the corner, I decided to use them now than later. 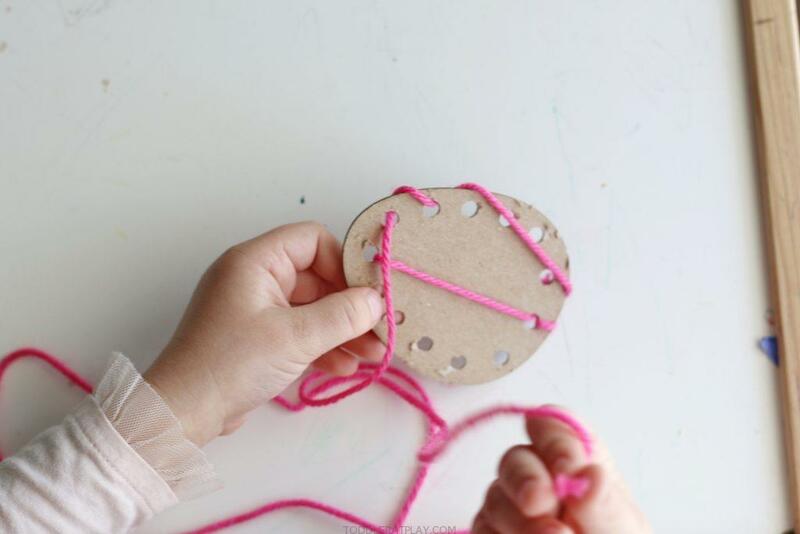 One thing that came to my mind was to make holes in the egg and then use it as a threading activity, and it’s was so fun! Both of my kids loved it! 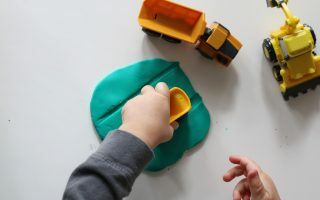 My 2 year old was totally into it until something distracted him (like always), but my preschoolers sat there threading in and out for a loooong while. It was great! 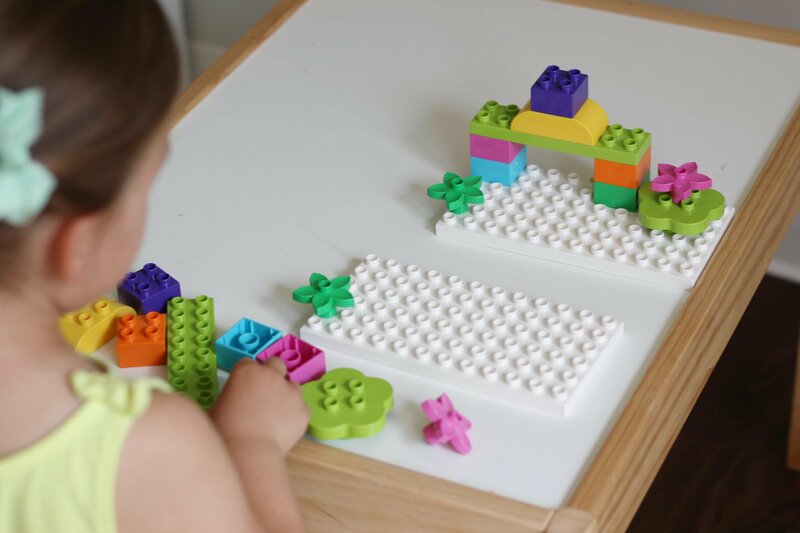 WATCH THIS TODDLER AT PLAY QUICK TUTORIAL TOO! 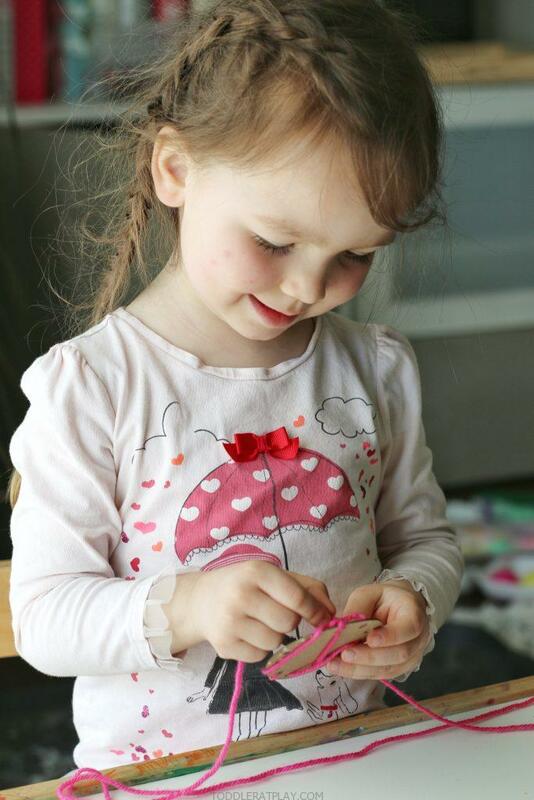 Using the hole punch, make holes all the way along the edge of the eggs. 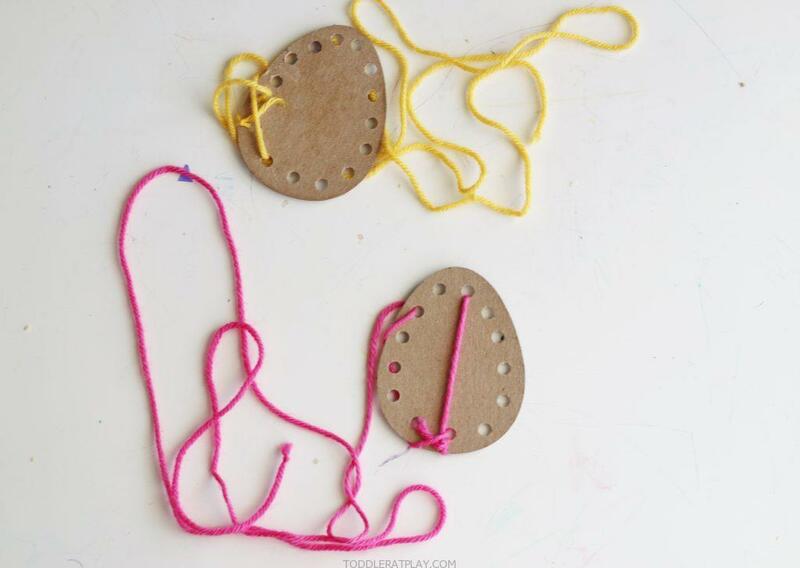 Cut a long string of yarn and tie one end to the egg using one hole. 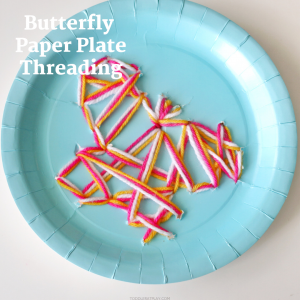 Kids can thread these anyway they want. 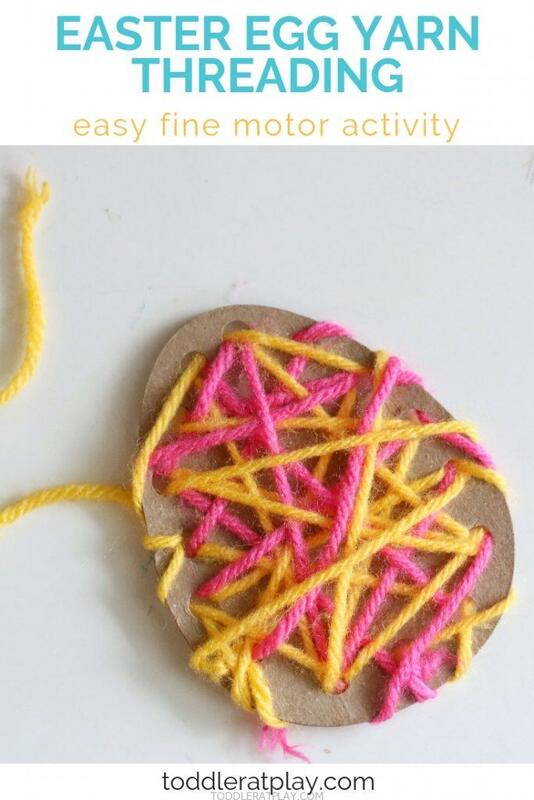 Even if it’s all messy and tangly! 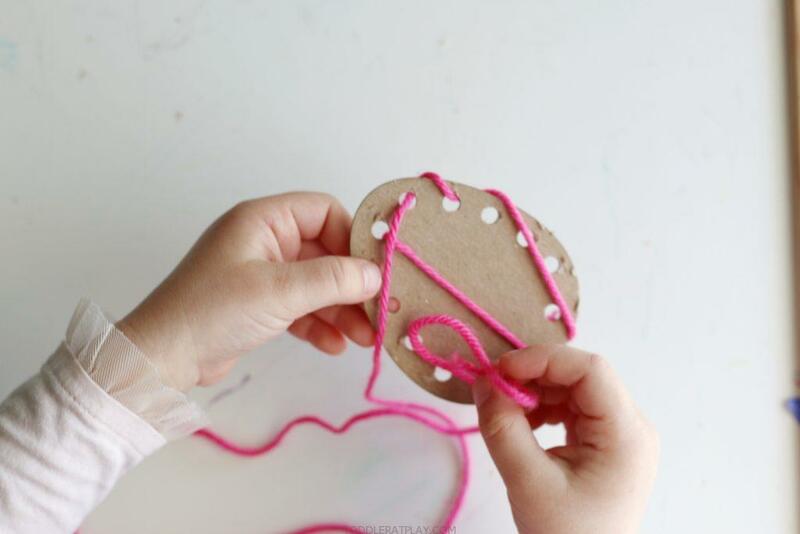 My 2 year olds egg looks completely different than my 4 year olds 🙂 He also wanted two different colors of strings to thread with, so that got a bit, you know, all in a huge clump. 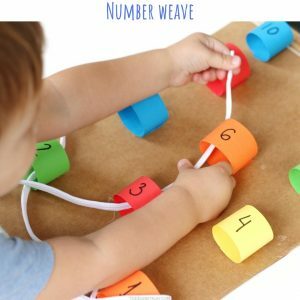 Want more THREADING and WEAVING activities for toddlers? 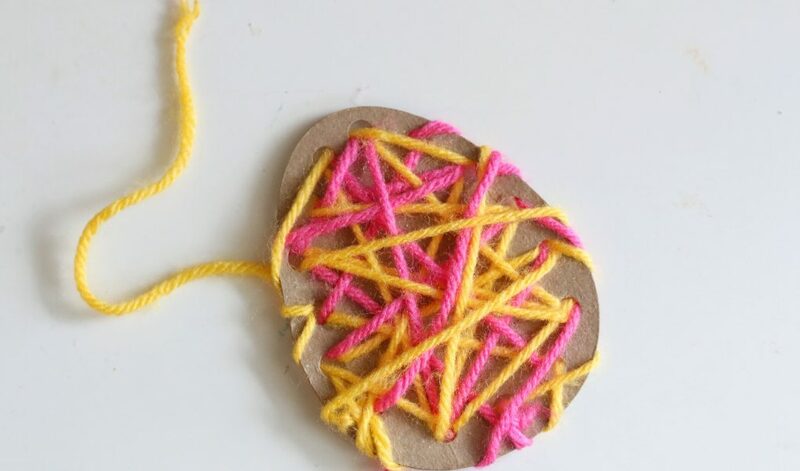 MAKE THIS FUN EGG YARN THREADING ACTIVITY TODAY!